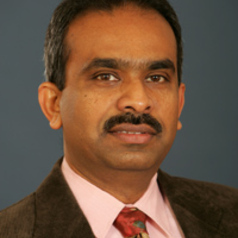 Rohinton Emmanuel is a Professor of Sustainable Design and Construction and an Architect with urban design interests. He has pioneered the inquiry of urban climate change in warm regions and has taught and consulted on climate and environment sensitive design, building energy efficiency and thermal comfort among others. Rohinton is the Secretary of the International Association for Urban Climate and is a member of the Expert Team on Urban and Building Climatology (ET 4.4) of the World Meteorological Organization (WMO) as well as the CIB Working Group (W108) on “Buildings and Climate Change.” He has also worked as a green building consultant and has authored over 50 research papers in the areas of climate change in the built environment, building and urban energy efficiency. He recently published a textbook encapsulating these issues – An Urban Approach to Climate Sensitive Design: Strategies for the Tropics, (Taylor & Francis, London, 2005).